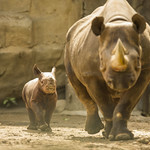 Eastern black rhinoceroses stand up to 12 feet long and five feet high at the shoulder. They weigh up to 3,000 pounds. This species possess two horns made up of fibrous keratin. The front horn is larger—up to 28 inches. Their coat color varies with soil color, since these animals wallow in the mud to stay cool. This species is listed as endangered and trade of its horn is prohibited by international law. The primary cause of population decline is hunting; rhino horn made into dagger handles is a symbol of wealth in many countries. Contrary to popular opinion, the horn is not consumed primarily as an aphrodisiac; only small amounts are used for this purpose. 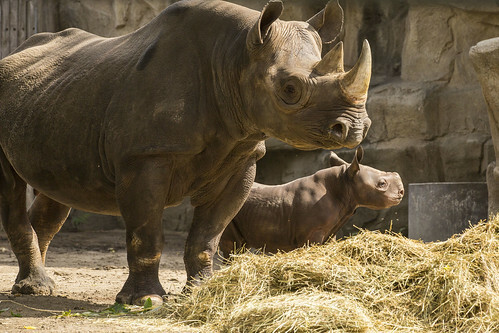 Lincoln Park Zoo participates in the Eastern Black Rhinoceros Species Survival Plan®, a shared conservation effort by zoos throughout the Association of Zoos and Aquariums. 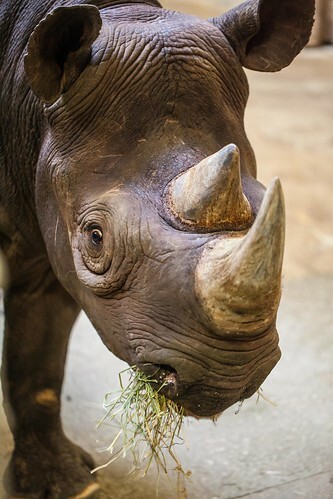 Eastern black rhinos inhabit transitional zones between grasslands and forests, generally in thick thorn bush or acacia scrub. However, they may also be found in more open country. 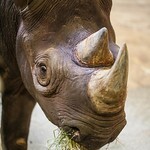 As a herbivorous browser, the black rhino eats leafy plants as well as branches, shoots, thorny wood bushes and fruit. 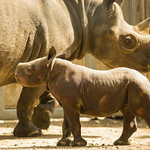 Rhino skin harbors many external parasites, which are eaten by tickbirds and egrets that live with the rhino. Young are preyed upon by hyenas. These solitary animals are more nocturnal than diurnal. Females are not territorial; their ranges vary according to food supply. Males are more aggressive in defending turf, but will tolerate properly submissive male intruders. 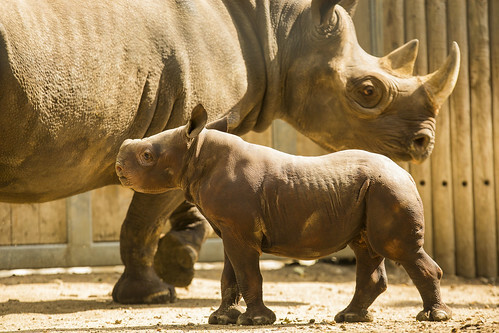 Thick, layered skin protects rhinos from sharp grasses and thorns. Thick, padded soles on their feet absorb shock and cushion legs. A prehensile upper lip helps in foraging and browsing. Large ears can rotate to pick up sounds from many directions. Horns used for defense and possibly display. 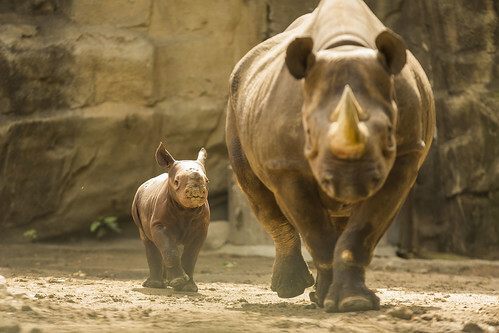 The eastern black rhino's aggressive disposition discourages predators. They tend to charge first and investigate later. 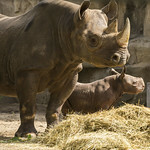 I’m Mark Kamhout, curator of mammals at Lincoln Park Zoo. Today’s Endangered Species Day seems like a natural time to reflect on the many threatened species of animals around the world.